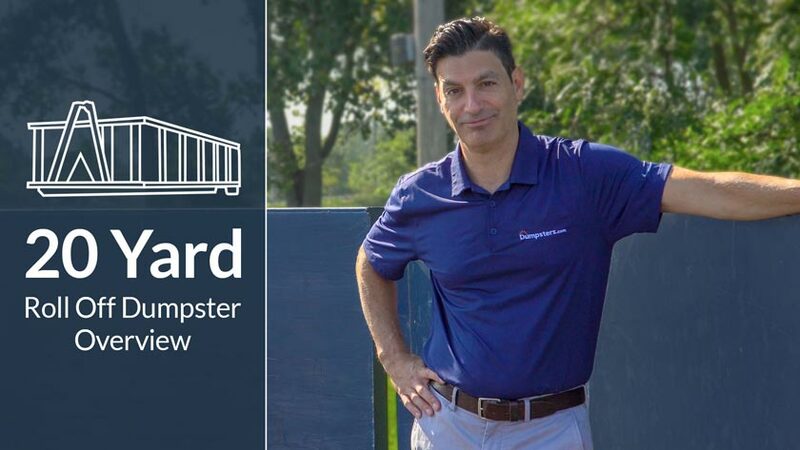 How Big Is a 20 Yard Dumpster? The typical dimensions of a 20 yard dumpster are 20 feet long, 8 feet wide and 3.5 feet high. These containers can hold up to 20 cubic yards of material, which is equivalent to about 120 13-gallon trash bags. A 20 yard dumpster generally has a 2-3 ton (4,000-6,000 pound) weight limit. 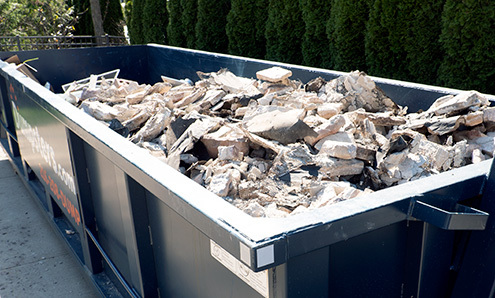 Disposal costs for this weight of debris are included in our flat-rate price. A microwave alone can weigh up to 50 pounds, so be aware that the weight of your debris adds up fast. The average 20 yard dumpster rental price is between $222 and $589. Our rates are all-inclusive, covering delivery, pickup, taxes and disposal up to your container’s weight limit. But keep in mind that exact price of a 20 yard container will depend on your location and the type of debris you’re throwing out. 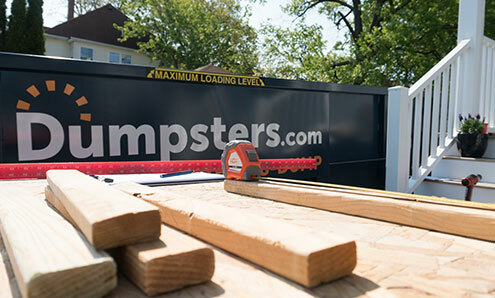 A 20 yard dumpster is our most popular roll off dumpster size as it suits a variety of projects including room remodels, floor removals and large landscaping jobs. Check out the video for more information or call us to speak with a dumpster expert and order your 20 yard roll off container. Is a 20 Yard Dumpster the Right Fit For Your Project? Removing walls, flooring and carpet. Decluttering an attic and basement. Tossing items out before a move. Repairing a driveway and sidewalk. Removing a brick or concrete path. Not Sure a 20 Yard Dumpster Is Right for You? If you don't think a 20 yard roll off dumpster is the best fit for your project, we have other size options. 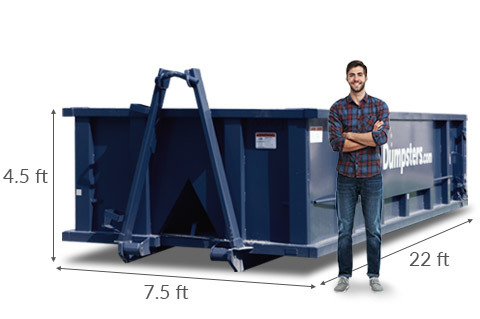 Use our dumpster [weight calculators](https://www.dumpsters.com/resources/dumpster-weight-calculator) to estimate the weight of your debris and determine the correct size container for your project. Or just give us a call at [844-444-DUMP](tel:+18444443867) to get advice from our team. We rent to customers working on a huge range of projects. Your team member will ask the right questions to help you make the best choice for your specific needs. And we make it easy to schedule a swap-out or rent additional containers if your needs change throughout your project. Select a location for your dumpster. Remember that you’ll need a permit from the city to have the dumpster placed on the street. The truck will need about 60 feet of space and 23 feet of vertical clearance to raise and place the dumpster. 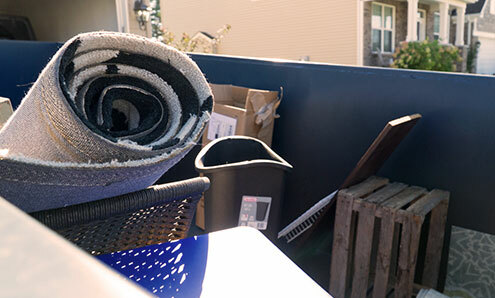 Don't forget to call to schedule pickup for your dumpster on or before the last day of your rental period. Once your order is completed over the phone, our team will send you an email with additional details, including a list of prohibited items and a copy of your invoice.